Focus Lighting and Fixtures currently provides vide range of products which includes recessed adjustable spotlights, recessed downlights, surface mounted spotlights, surface-mounted / suspended downlights, system based spotlights / wallwasher, track-mounted spotlights, etc. each with different working capabilities. The new range of luminaires have been designed and developed by the finest product designers from Germany, proficient in the field of lighting design; supported by a proficient team of Indian Professionals. The products of Focus Lighting and Fixtures are designed from Germany, these designs are provided to its supplier in China and the moulds prepared as per the specified designs. The products are imported from China under the brand name of TRIX. Its products under brand name of PLUS are manufactured by M/s. Shantilal & Bros (Mfg Dept). Appox. 70-80% of its total purchases are from Shantilal & Bros (Mfg Dept). Even for exports, appx. 90% of the products are manufactured by Shantilal & Bros (Mfg Dept). Focus Lighting and Fixtures has initiated the process of establishing its own manufacturing unit at Bhiwandi, Mumbai due to growing demand of its products. Over the last decade, the company has successfully worked for some of the leading brands like And Designs, Global Designs, Croma, Raymond, Shoppers’ Stop, Park Avenue, Timberland, Globus and many more. 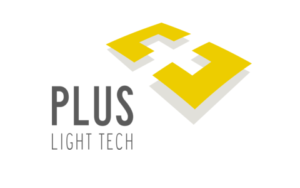 Focus Lighting and Fixtures IPO allotment status is now available on Bigshare Services Private Limited website. Click on this link to get allotment status.